A few years ago I was on a quest to rebuild my broken faith when I decided to read books by three particular authors. Philip Yancey, C.S. Lewis, & Brennan Manning. These three men came from different denominations, different generations even of different ages, but all came with a great understanding of the word Grace. I love the book by Philip Yancey What’s So Amazing about Grace?” where he examined Grace from many perspectives. I learned so much about this one word and the different forms in which it is found. We believe that God’s grace is “unmerited favor” meaning it is not something we can purchase or earn. It is usually found in places where the person who extends it does so because there is nothing else that can be done, but trusts that a good outcome will result. He goes about showing many situations where grace is lived out in real life from the story of a young girl coming back home after running away for a ‘better life’ and her family take her back with open arms. He tells of a situation where many scholars had met in Britain to discuss the different religions and what was the fundamental difference between them and Christianity? C.S Lewis walked into the room during the discussion and responded that Grace was the biggest difference. It is the only religion where God reaches down to man, whereby other religions are man trying to please or reach God by their actions. He states that Grace is one of those words that has never lost its meaning. It has stood the test of time. Other words can change with cultures or generations and take on different meanings. For example: gay used to mean happy or bright and gentleman used to be a Title not a description. 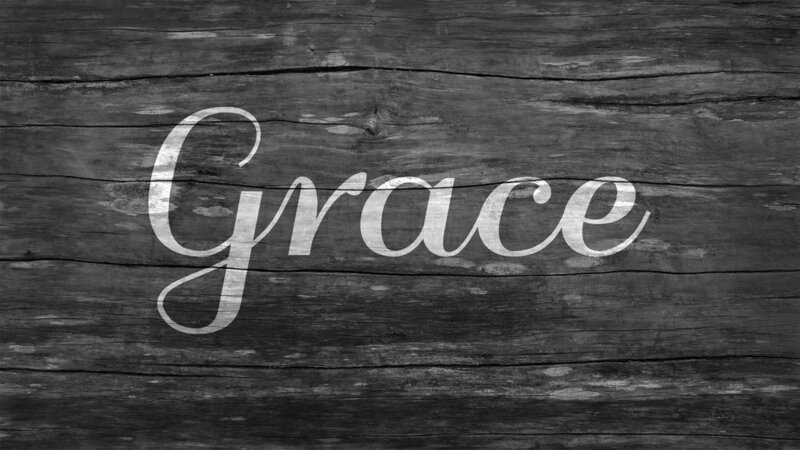 Grace is a multi-faceted word, but the meanings stay clear. Take for example grace note: extra notes in a song that add depth. Grace period: when you get time extended without penalty. Grace editions: more magazines than you paid for. Grace is a great word and a great reality. In practicality, its offering something of ourselves to another person when they don’t deserve it. Maybe not passing a judgement on someone’s actions, but trusting that God will bring good out of it. Look beyond someone’s action to the cause and reason behind it. Being a friend in need, with no expectation of payback. As it was extended to us, let us extend it outward to others and in that we are living in that grace given to us.